Photo by Chris Detrick | The Salt Lake Tribune Diners eat at at The New Yorker restaurant Thursday September 17, 2009. 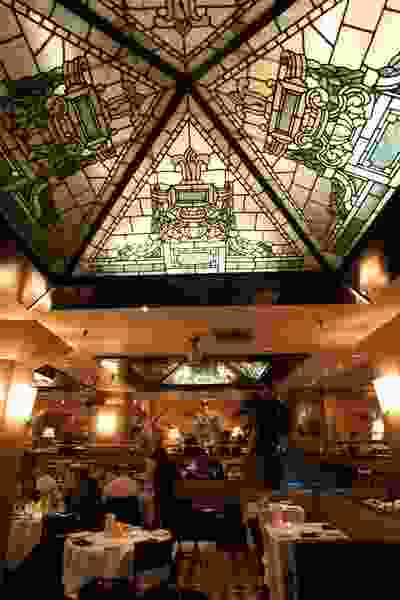 Customers who consumed food or beverages at downtown Salt Lake City’s New Yorker Restaurant between July 25 and Aug. 15 may have been exposed to the hepatitis A virus. The Salt Lake County Health Department announced Monday that up to 650 people may be affected. During that time period, an employee worked while infectious and potentially handled certain food or beverage items, the department said in a news release. The agency believes this case is linked to the ongoing hepatitis A outbreak Salt Lake County has been experiencing since mid-2017. It is too late for people who ate at the upscale restaurant, 60 W. Market St., to receive preventive vaccinations, health officials said. Individuals should watch for symptoms of hepatitis A, which include low fever, fatigue, loss of appetite, nausea, vomiting, and yellow skin and eyes. They should contact their health care provider if concerned. The incubation period for hepatitis A is two to seven weeks, so potentially affected customers should watch for symptoms through Oct. 3. To date, the department has not received any reports of illness related to this possible exposure. Customers who are fully vaccinated (two doses) against hepatitis A are protected and do not need to be concerned. Diners for whom contact information was available already have been notified by county health officials. The New Yorker Restaurant is cooperating with the department’s investigation. Since discovering the possible exposure, it has sanitized the restaurant areas according to health department recommendations. Before this exposure occurred, the New Yorker had also offered their employees the hepatitis A vaccine, but the infected employee chose not to receive it. Potentially affected customers with specific questions may call the health department at 385-468-INFO (4636).